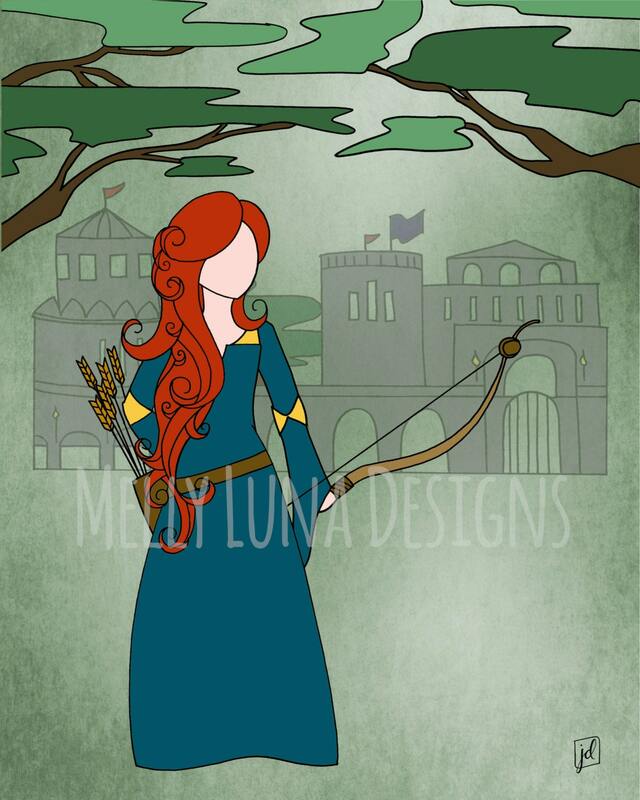 This is a reproduction print inspired by the movie Brave. 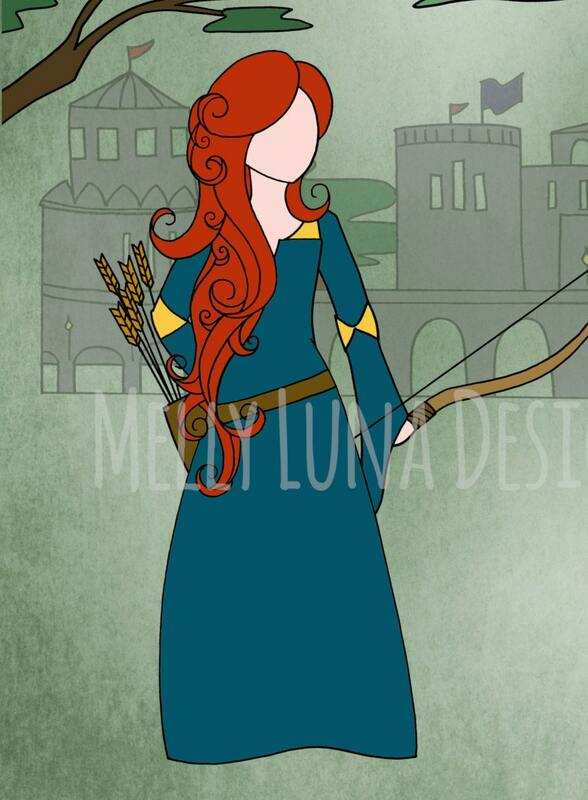 In this print, Merida is standing strong and proud ready for anything! The original art was created with pen and ink techniques and then overlaid on an abstract background. The abstract background was sourced from a fellow Etsy artist of DigiTreats https://www.etsy.com/transaction/1179602151.